Should there be مزید episodes? What did آپ think of the Scaramouch quote...you know which one I'm talking about. How Did آپ get the tv listing on the پرستار page? At the end of one of my older articles, I کہا that I'm going to countdown my پسندیدہ episodes of Samurai Jack's 5th season. As usual, I keep my promises...however, things have changed. I wanted to make a countdown of my پسندیدہ episodes, but my analysis for each episode were so long that I would've separated this مضمون in two, again. So, instead, I'll do review of the season. 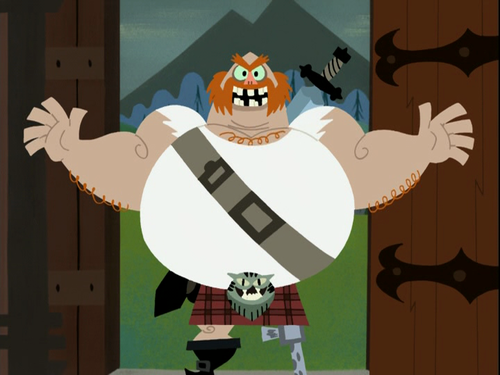 Three weeks پہلے was Samurai Jack's long-awaited finale. The conclusion that many of us wanted to see for years. Like everyone, I was incredibly satisfied with the ending, and it almost brought a tear to my eye that my پسندیدہ childhood دکھائیں finale got it's well-deserved ending. However, I won't be talking about my پسندیدہ episodes from Season 5, but instead I'll be talking about my پسندیدہ episodes from Seasons 1-4, then I'm going to countdown my پسندیدہ episodes from Season 5. Genndy Tartakovsky and composer Tyler Bates explain the موسیقی in an extended featurette for the March premiere. a comment was made to the poll: Should there be مزید episodes? a poll گیا دیا کر شامل: Should there be مزید episodes? a poll گیا دیا کر شامل: Should there be a live action version of Samurai Jack?